The whisky itself is evidence that Taiwan can produce world class whisky that is complex, elegant, interesting and mature. That maturity is a big part of what makes Kavalan so intriguing. In warmer subtropical climates such as Taiwan the pores in oak expand from the heat and soak up more whisky than in colder climates. This means that whisky can mature more quickly in Taiwan. It also means that a whisky can get too “woody” before being mature because it soaks up the flavours of the wood without breaking them down properly or undergoing sufficient oxidization. Whatever oak casks have been used by Kavalan to mature King Car whisky, they are a masterstroke and testament to the fact that in the right conditions whisky can mature quickly without getting “woody” first. 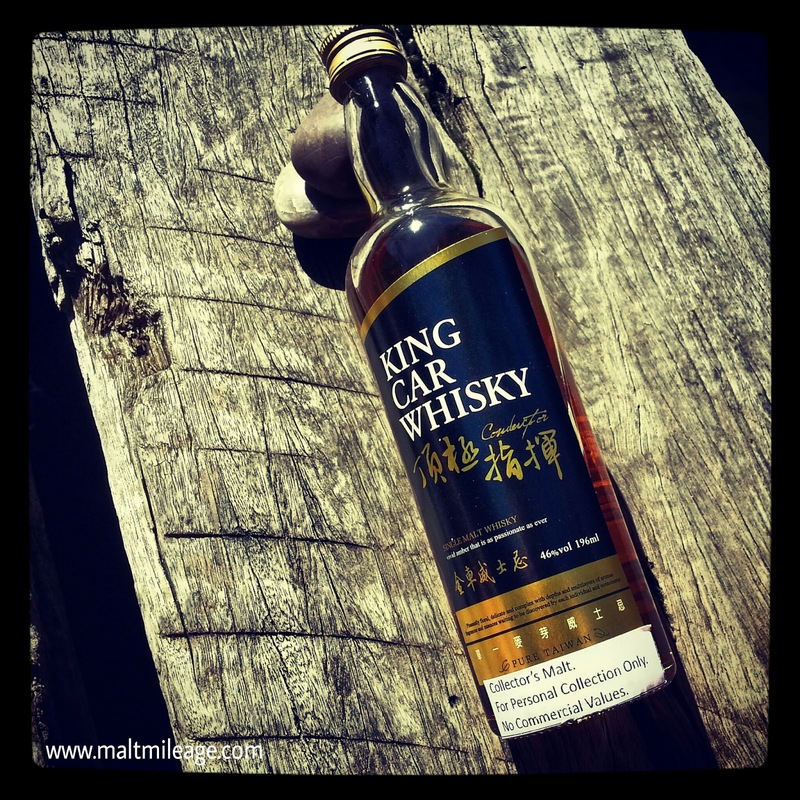 Despite having been matured in such a warm climate as Taiwan the King Car whisky has an almost perfect balance that offers a multidimensional display of fruit, vanillas and wood spice with only a semblance of “woodiness” emerging in the finish. This is a mature world whisky. Not woody, mature. In my opinion King Car is one of the most fascinating world whiskies on the market. So fascinating in fact, it has taken me a while to fully appreciate it.